Cause a fall in income for Higher Education institutions of between £55m to £77m per student intake. 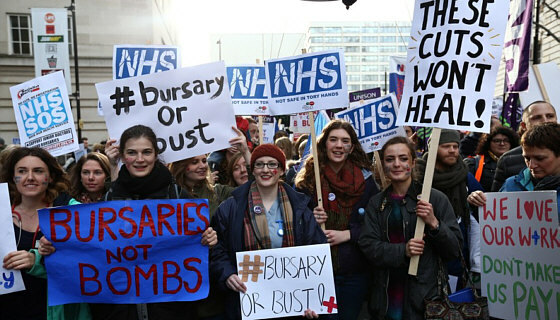 Bursary payments which compensate student nurses and health professionals for the time they are required to work without pay on wards and in the NHS, at times when other students can earn money to support themselves, are threatened by George Osborne's cuts announced in the autumn statement. UNISON has produced a simple online form at e-activist.com, which will allow you to email your MP quickly and ask them to speak up for nurses and health workers in Parliament.